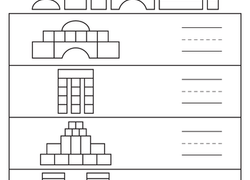 You can count on these worksheets to build your child’s foundational maths skills and instill numbers confidence. 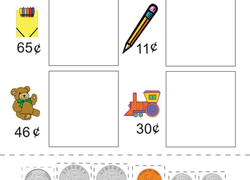 Our counting numbers worksheets cover all the bases, from counting coins, objects, and skip counting through counting angles, cubic units, and beyond. Check out our collection of Number sense worksheetsFor more fundamental numbers practise. 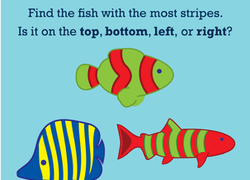 Help your preschooler practise counting with this stripey printable, which has her counting stripes on fish as well as practising directional language. 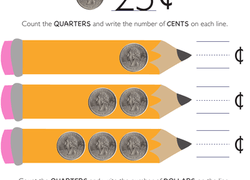 Help your child with his coin counting skills with this maths worksheet, which is all about counting small change. He will soon with this colorful, counting ants worksheet that is great for any child learning early maths. Check out this counting worksheet for your kindergartener, featuring beautiful ladybugs. 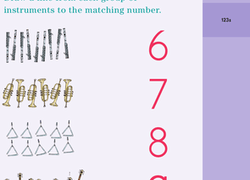 Introduce your youngster to addition with this cut and paste maths page that combines fine motor exercise and counting. This fun and colorful worksheet will help your kindergartener practise counting up to 13.